Lemon juice has always had loyal followers since ages. It quenches thirst, acts as an energy drink and is a great weight loss ingredient. Lemon is used for culinary and medicinal purposes. Many drink a popular concoction of lemon, warm water and honey for weight loss and a flat stomach. Though this may not directly contribute to weight loss, the individual ingredients can have a positive effect on your health and body metabolism. This vitamin C rich fruit is good for glowing skin. Used lemons can be rubbed on the skin and washed off after 5 minutes for a sense of freshness to the skin. It may also reduce the tan near the neck, below the belly, and on the back. Lime juice when drank early in the morning on an empty stomach is said to reduce acidity problems. 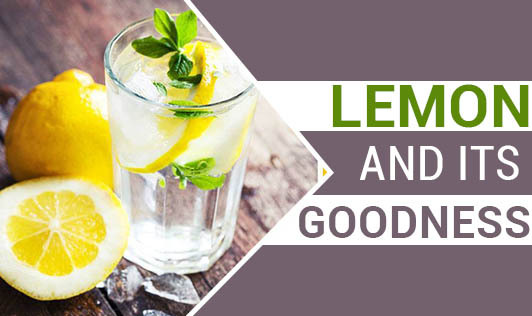 Lemon also has anti-inflammatory properties and hence helps to reduce cold, cough and throat irritation. Notice how we use this fruit in our cooking on a daily basis but fail to know its benefits? Use the juice from this fruit and enjoy its benefits!